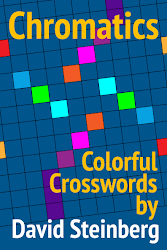 I'm delighted to announce that this week we reached a major milestone in the project: As announced on Cruciverb-l, Twitter, and Facebook, on Monday I sent out the final packet of puzzles for litzing (appropriately enough, to crossword historian Lynn Feigenbaum!)! It's amazing to finally be here—I've had the honor and privilege of working with an incredible group of people, and together we've accomplished something that will be of great value to cruciverbalists and others everywhere, now and in the future! Thanks so much again, everyone! Several litzers have commented on the bittersweet nature of this achievement—although finally having reached it is exciting, seeing this stage come to an end is also a bit sad. Luckily, we have nearly 35 years of puzzles left to proofread, so the project will continue for a long time to come! I also plan to keep this blog going even after the proofreading is done—there are countless interesting puzzles left to feature, trends to discuss, and constructors to profile! So, on to the puzzles: The week started off with 4 puzzles from Denny Baker on Friday evening. Saturday morning, Joe Cabrera sent 4 more, and that afternoon, new litzer Mel Rosen sent in 1 puzzle. Early Sunday morning, Todd Gross sent in 10 proofread puzzles, which were followed a few hours later by 4 litzed puzzles from Todd McClary and 4 more from Denny. That afternoon, new litzers Jeff Chen and Adam Nicolle each sent in 1 puzzle; that night, new litzer Andrew Reynolds sent 1 as well. Monday morning, new litzer Stephanie Spadaccini sent 1 puzzle; late that afternoon, Lynn Feigenbaum sent 4 more puzzles, which were followed by 4 more from Mike Buckley. That night, Todd sent 11 more proofread puzzles. Tuesday afternoon, Joe sent 4 more puzzles, putting his total at more than 200 litzed puzzles—congratulations, Joe! Later that afternoon, new litzer Bryan Young sent 1 puzzle, which was followed by 4 more from Denny. Wednesday morning, Todd sent 10 more proofread puzzles, and then Susan O'Brien sent 4 more litzed puzzles. Thursday morning, Barry Haldiman sent 4 puzzles, which were followed by 4 more from Denny that afternoon, and 8 more from Mark Diehl late that night. Early Friday morning, Lynn sent 2 more puzzles, which were followed 1 from new litzer Matthew Mitchell (Braze) and 10 more proofread puzzles from Todd a few hours later. 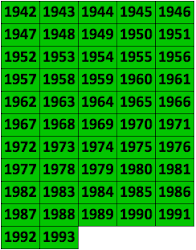 And this week Howard Barkin sent in 8 more puzzles. Thanks so much again, everyone—we're now at 15,891 on the litzing thermometer, so there are still plenty of puzzles that have yet to come in! I'm happy to report that this week several more people accepted the One-Puzzle Litzing Challenge: George Barany, Jon Delfin, Matthew Mitchell (Braze), Adam Nicolle, and Matt Skoczen. Adam and Braze also sent in their bios, which you can read by clicking on their names or going to the Meet the Litzers page. 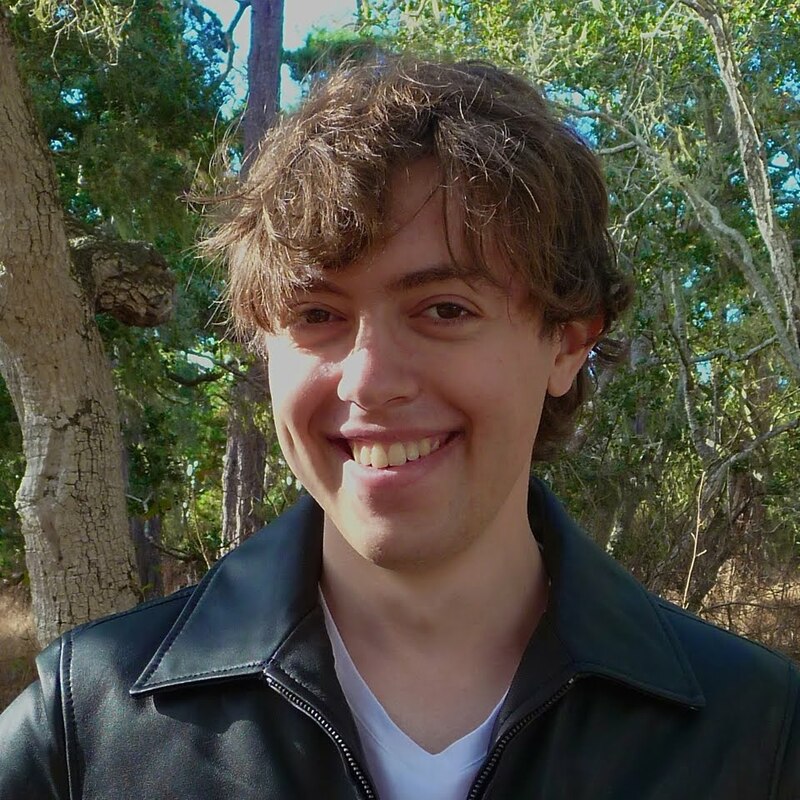 Six litzers have also expressed an interest in proofreading, and a couple of days ago prodigious litzer Howard Barkin officially joined the proofreader ranks and received his first packet! If you'd like to try the proofreading self-test and see if you have a knack for proofreading and enjoy it, let me know. The self-test contains complete instructions, a puzzle with many more mistakes than would ever appear in a real puzzle, and an answer key. Although stylistic matters such as the number of underscores or the types of dashes are important, what's key is catching grid mistakes and incorrect, misspelled, or omitted words in clues. So if you take the self-test and do well on those sorts of things but miss some of the others and would still like to proofread, that's perfectly fine! Every proofreader we have (including me!) has made a proofreading mistake here and there; luckily, some of those have been caught by sharp-eyed solvers on XWord Info! We've been busy at litzer central improving some of the links on the site. Previously when you clicked on one of the Litzing Crew, Litzers of the Month, or Constructor Interviews names in the righthand column, you landed at the top of the respective page and had to scroll down to find the name you were looking for. Now you'll land on the specific person you wanted to read about, which should make navigating the site not only better but faster! You'll still be able to scroll up and down within these pages to read about other people. I've begun making similar changes within individual posts to links that led to these pages. As I was updating the links to Litzer of the Month interviews from individual posts, I was dismayed to discover that I had inadvertently forgotten to mention three Litzer of the Month interviews, though the interviews were there and I had written blurbs for the sidebar feature that appeared at the beginning of each of those months. My apologies to Ralph Bunker, December 2013 Litzer of the Month; Todd Gross, April 2013 Litzer of the Month; and Andrew Feist, August 2012 Litzer of the Month! I've gone back to the posts the announcements should have been in and updated them. If you didn't happen to link to the interviews from the sidebar gadget at the time, check them out now by clicking on each of the linked names above. A couple of weeks ago, researcher extraordinaire Todd Gross e-mailed me about his findings on pre-Shortzian constructors. 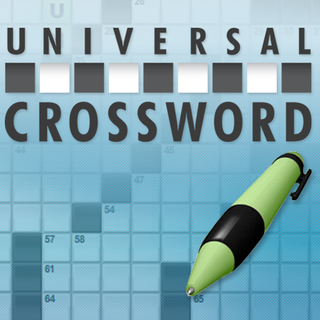 Todd had come across something called THE Crossword (divided into THE Daily Crossword and THE Sunday Crossword) and discovered that many pre-Shortzian constructors—including William Lutwiniak, Jack Luzzatto, Tap Osborn, Herb L. Risteen, and Mel Rosen—were among the authors of these puzzles! 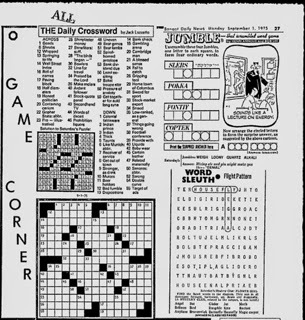 Using Google News, Todd was able to find one newspaper—the Bangor Daily News—that seemed to have most of THE Daily Crosswords, starting in April 1974. Todd noted that, in addition to the more well-known pre-Shortzian male constructors, there were also many he was not familiar with, including a surprisingly large number of female constructors, such as Lucille Bowers and Sophie Fierman (both of whom were pre-Shortzian New York Times constructors) and Anne Halloran and Irene Sekula. A Jack Luzzatto puzzle from the Bangor Daily News. 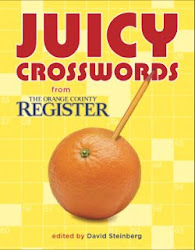 Todd tried to learn more about THE Crossword and discovered that it was likely created by the "Chicago Tribune New York News Syndicate" and edited by prolific pre-Shortzian New York Times constructor Herb Ettenson. Todd found an obituary of Herb Ettenson, which you can read by clicking on his name (or by going to the new link on the Pre-Shortzian Constructors page), as well as an article written while Ettenson was still alive. Apparently Ettenson was editor from approximately 1975 to 1997, when Wayne Robert Williams took over. Todd wrote: "So far I have a list of about 40 constructors and a few hundred puzzles. Looks like Herb mostly stuck with constructors he knew, but rotated between them pretty thoroughly. In particular, it looks like he made sure no constructor had two dailies in one week. This makes sense to avoid confusion and mistakes in the syndicated papers." Todd hadn't yet looked up the Sunday papers but knew that Ettenson did those as well. Since the Bangor Daily News didn't have a Sunday edition, Todd is hoping to find another paper for those. Todd also found a fascinating obituary for legendary pre-Shortzian and Shortz-era constructor Frances Hansen; click here to read it (or go to the link on the Pre-Shortzian Constructors page). 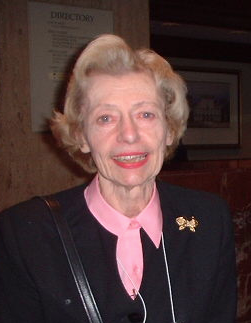 Frances Hansen, courtesy of Lloyd Mazer. Awesome job researching, Todd—thanks so much for these terrific finds! Interesting that a constructor named Canine would create a puzzle titled REPTILE HOUSE.